Shirley Fortner 93 of Raceland KY went to be with the Lord on Saturday, May 12, 2018 at the Community Hospice Care Center in Ashland KY.
She was born in Wayne County West Virginia on September 25, 1924 a daughter of the late Golden & Letha Merritt Adkins. 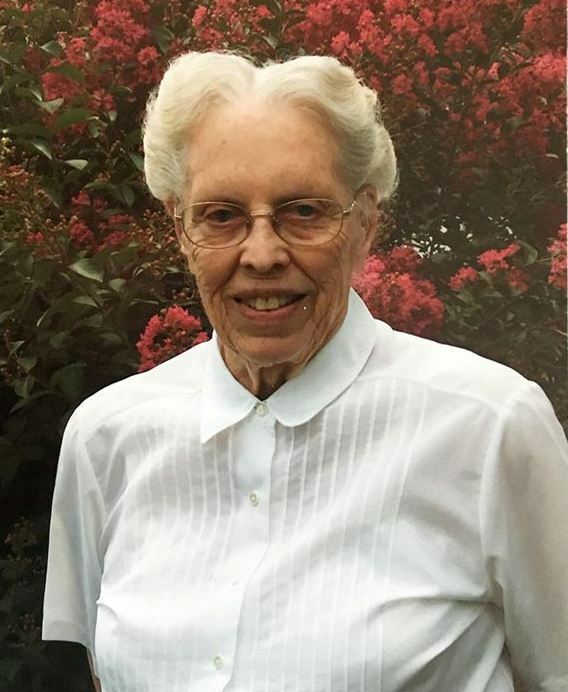 She was a 65 year member of the South Fork Old Regular Baptist Church and a retired cafeteria worker at the Russell Independent School System. She was preceded in death along with her parents by her husband Dallas T. Fortner in 1985; a brother Perley Adkins and a sister, Glenna Morrison. She is survived by two daughters, Judy Adkins and her husband Ira Jr. of Wurtland and Phyllis Caudill and her husband Wayne of Dayton OH; two brothers, Jack Adkins of Rush and Lowell Adkins of Catlettsburg; a sister, Mertie Ramey of LeSage WV; 3 grandchildren; 8 great grandchildren and host of nieces, nephews, cousins, extended family and friends. Funeral services will be at 11:00 AM Tuesday, May 15, 2018 at the South Fork Old Regular Baptist Church in Worthington KY by Elders Gary Adkins, Gary Blevins and Paul Moore. Burial will follow at Bellefonte Memorial Gardens in Flatwoods. Visitation will be at 6:00 PM Monday, May 14, 2018 at Wright’s Funeral Home in Greenup and one hour before the funeral Tuesday at the church.